This low cost food slicer is one of the most popular food slicers on the market, in fact it has only been on the market for a short time but it is a fantastic all round accessory for the all of your slicing neeeds. 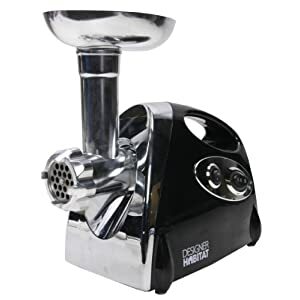 With the universal 19cm diameter stainless steel serrated blade you can cut slices of a hot roast, extra thin slices of fresh ham for deli sandwiches, cheese, cold cuts of beef, vegetables, fruit, breads and cakes. Safety features include a safety switch and a blade guard, finger protection & end piece holder. With a powerful 150W motor, non-slip feet and a cast aluminium body, the food slicer gives you the ability to accurately slice a wide variety of foods at a price that won't break the bank.